I love eating raw cooking dough, maybe even more than baked cookies! Of course, there's always the nagging issue of eating the raw eggs in it. Luckily we can use sous vide to fully pasteurize the eggs, rendering them completely safe to eat. The white will solidify some, but once you mix up the dough it will blend in perfectly. I've provided a cookie dough recipe for you to follow, but if you have a favorite of your own feel free to use that instead. And if you don't have a sous vide machine you can always just omit the eggs. The final dough won't be as flavorful but it should still be great! 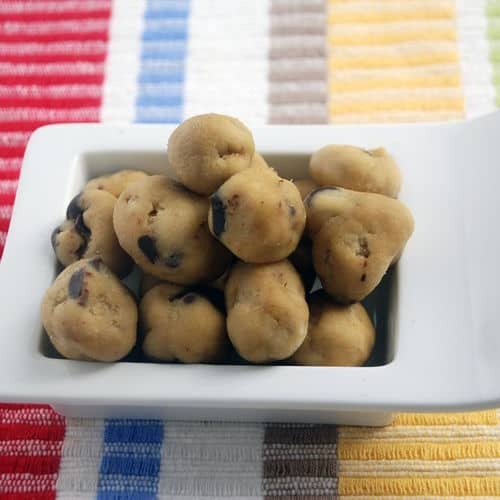 If you would like more information about the modernist techniques, ingredients, and equipment used in the Chocolate Chip Cookie Dough Balls recipe you can check out the following. Pre-heat a water bath to 57.2°C (135°F). Place the egg in the water bath and cook for 75 minutes. Remove and let cool. Combine the butter, white sugar, brown sugar, vanilla, salt, and pasteurized egg and mix well to combine, preferably with a hand mixer or standing mixer. Stir in the flour until it is completely combined. Add the chocolate chips and fold them into the dough. 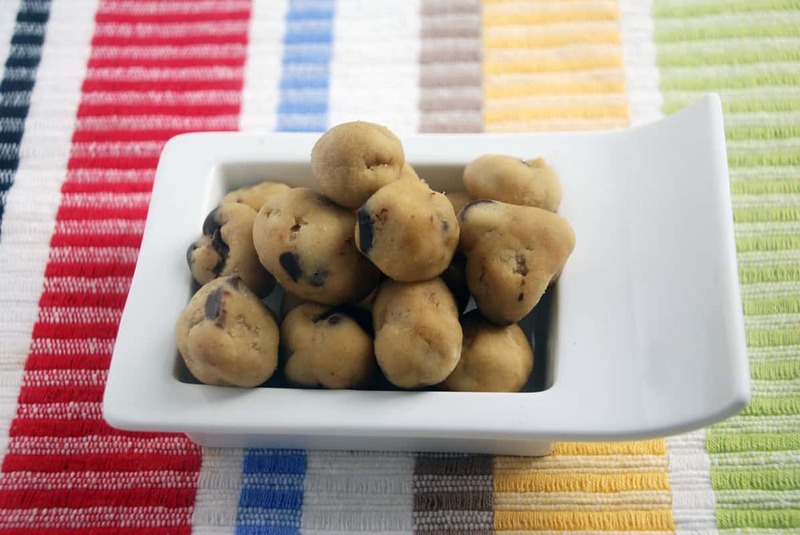 Roll the dough into small balls and serve in a bowl or on a plate. You can also serve them as a topping on ice cream or brownies.